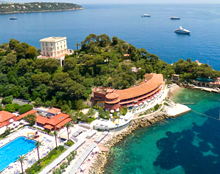 Monaco is synonymous with incentive travel destination. What other location offers the possibility of visiting 3 countries in 1 day, or skiing in the morning and swimming in the afternoon? 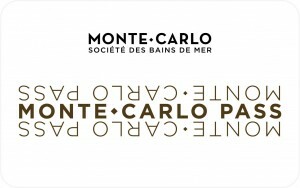 Because Monte-Carlo Société des Bains de Mer offers the most beautiful places and spaces in such a singular location, it comes as no surprise that the world’s biggest and best companies come to us to reward their best employees and clients. Choose from our 4- and 5-star hotels that are complimentary in style, each with 40 to 334 rooms suited to different incentive types. One main contact person will help organise all aspects of your event, from accommodations to gala dinner and day of incentive activities in Monaco. Because we offer the widest selection of banqueting venues in Monaco, we always have just what you need, from a lavish gala dinner in a legendary golden hall on the Place du Casino, to an all-night party in a private hire club. For your banquets, we offer gourmet cuisine and savoir-faire recognised the world over. Numerous potential outdoor venues offer breathtaking views of Monaco, such as the Belle Epoque terrace facing the Prince’s Palace or Le Deck at the Monte-Carlo Beach overlooking the Mediterranean. Tirelessly renovated and reinvented, our establishments offer your guests the best possible experiences of the French Riviera. The importance we place on our high standard of service has been recognized for 150 years. At Monte-Carlo SBM, you will find a myriad of activities and leisure possibilities all “under one roof”: 3 spas, an 18-hole golf course, 23 tennis courts, indoor and outdoor pools, the Beach Club in season and much more. What’s more, with the Monte-Carlo Pass Card, you will benefit from exclusive advantages throughout the resort. Choose Monaco and reward your guests in the best possible way.